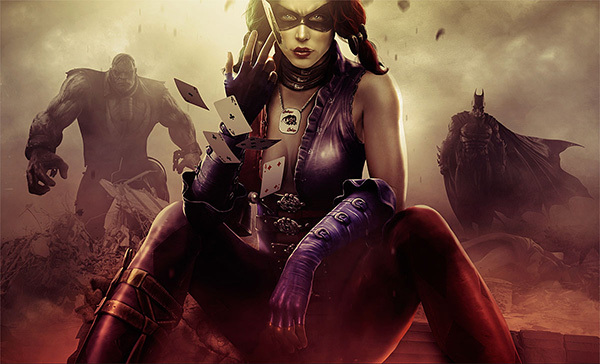 NetherRealm have released a character trailer that reveals Harley Quinn converting to the hero alliance in the upcoming Injustice: Gods Among Us. Yes, you definitely read that right. Harley is picking up her infamously over-sized hammer again, but this time she’s doing it for good. After The Joker murders a pregnant Lois Lane, and Jimmy Olsen, it appears that his leveling of Metropolis is the moment that Ms. Quinn realizes that the Clown Prince of Crime’s punchlines are not quite as funny as he makes them out to be. The only question I have is why it has taken her so long to realize that The Joker is, well, pretty evil? The important thing is that she is finally coming out of her Joker hypnosis, and from the looks of the trailer she won’t be falling back under his spell anytime soon. It remains unclear exactly what actions Harley takes that deem her being considered a hero, but I feel she can earn her spot simply by facing off against Bane. Anyone with that much courage has to be some form of a hero. Harley’s new spotlight video also manages to show off her agile and graceful fighting style. Fans looking forward to playing as The Joker’s ex-main squeeze can enjoy some awesome juggling footage, and even a brand new stage transition piece. It involves some fear inducing Scarecrow play, so it’s definitely something that you don’t want to miss. Are you looking forward to playing as Harley? Are you simply curious about how she handles herself without The Joker by her side? Be sure to check out the trailer below before you leave your thoughts in the comments. Our coverage for Injustice: Gods Among Us will continue as we approach launch, so keep checking back for more news as it releases.